Nice restaurant! Price quality is OK and with the discount is a great deal! Recommended. Probably the best Japanese in Lausanne. Food is excellent and authentic, very good sushi, sashimi, shabu shabu/sukiyaki tempura etc. Very friendly staff. Japanese is very pricey in Switzerland however this still compares favourably. Amazing sushi restaurant. We had a dish with different sashimi that was the best I have ever eaten in my life. I’ll come back for sure! Better sushi than most in Lausanne. Their Spicy Tuna is different than I have had and I am not fond of it. But their fish was fresh and the place was very clean. I would recommend it. Good quality, good service. Tables are unfortunately to small to welcome the beautiful sushi boats that are served. Sushis excellents, service tres agreable! Food and people are good package to have a nice dinner....we enjoy so much the food and the service are very accomodating. The sashimi plate was very good, fresh ingredient and nicely prepared. I came with a 50% discount voucher from TheFork for lunch. So it was really good bargain. Service is professional and warm. 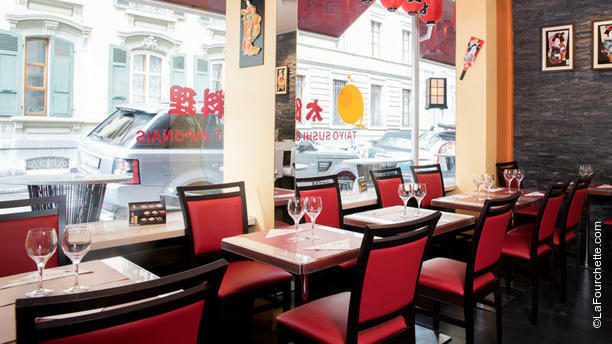 The restaurant is in a quiet street close to city center. Highly recommend to go (ideally with a voucher). Everything was excellent ????????. We love it . I recommend to anyone who likes Japanese food. The food was really nice and the atmosphere good too. Only the door outside which never closed well sucked off because everybody who comes and goes let the door open. We didn't received the 30%off even we had eaten a la carte! Good Japanese restaurant. We had sushi and we liked it. The fish was good.